One of my favorite dishes to make is Enchiladas! They are so easy to make because it is easy to make a veggie and non-veggie version of these in very little time! Thomas and I love them and they can last for a couple days, which is great being busy college students! 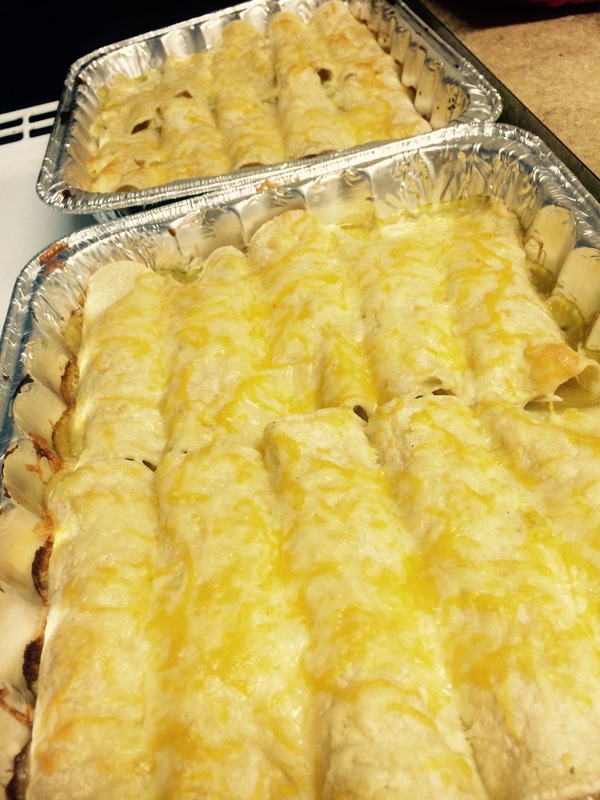 This is one of our go-to dishes…we are always craving these enchiladas! I begin by making the sauce. If you do not want to make the sauce by hand or do not have the time, there are some amazing green or red sauces that you can buy from the grocery store that are already made! 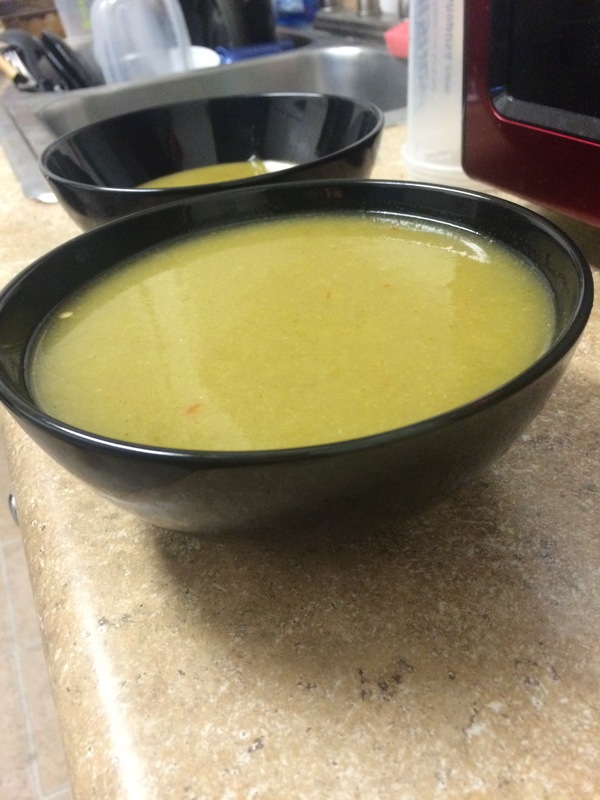 This recipe is made with a homemade green chili sauce. Begin by placing poblano and green chili peppers into the oven at broil to get them to blacken. While this is being done, begin pan roasting the tomatillos, garlic, onion, and jalapenos until they begin to brown. After the poblano peppers have been taken out and cooled, begin to skin and chop them up really nicely and throw them into the blender, along with the roasted ingredients from the pan. Add a cup of water, salt, pepper, limes, and cumin and get the blender rolling. And just like that…your sauce is made! Next up comes the chicken! Before making the sauce, be sure to marinate the chicken breasts in the fridge with some lemon pepper, salt, pepper, and olive oil–to give it a nice flavor! Begin pan-searing the chicken at medium heat and cook it through thoroughly. 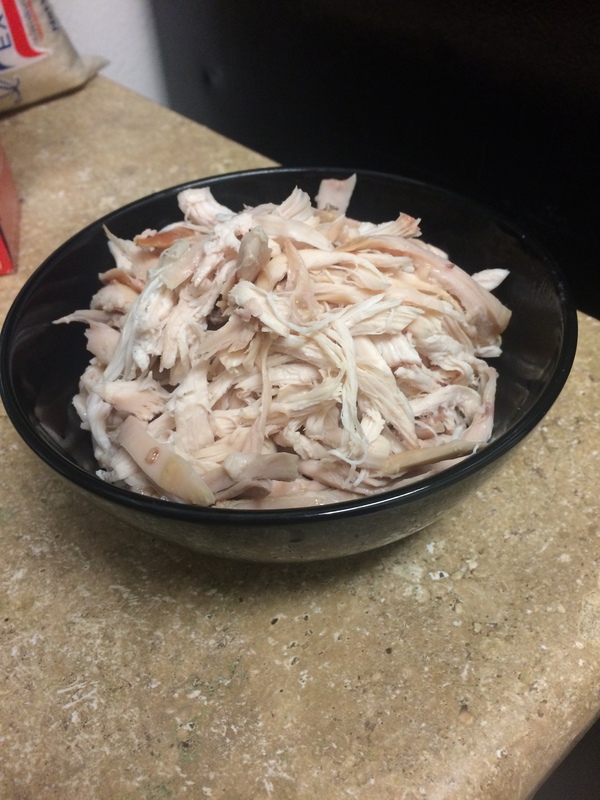 After its done, set it aside to cool and begin shredding it up…(I do this by hand). Once you’ve finished with all of the chicken ones, wash your hands thoroughly and then proceed to the cheese enchiladas. Follow the same technique, minus the chicken of course. Be sure to spread the remainder of the sauce all over the top of the enchiladas and sprinkle cheese all over them as well. Pop these two pans into the oven for about 20-25 minutes or until the cheese on top begins to bubble. Take them out and they’re ready to serve! Be sure to cover them with foil or put them into a container if you’d like to save them as leftovers; they taste great the next day! Enjoy!! Let cook for 25 minutes or until cheese bubbles…serve and enjoy! A favorite at our house and we don’t mind having them more than once. They are just as good the second time around.